The programme aims to improve cyber awareness in school, educating both pupils and inform parents of the risks that the cyber world can have on everyday life. At the end of the workshop(s), you will be better equipped with the relevant information to help keep your children safe in the future while they are online. Highbury Fields School recognises the difficult challenges young people can face, we aim to provide them and yourselves with as much key information as possible to empower them to become safe users of the internet and mobile devices. I hope to see you at the workshop sessions which I know will be a valuable and informative event. Please click on the following links to view presentations from our previous workshops. 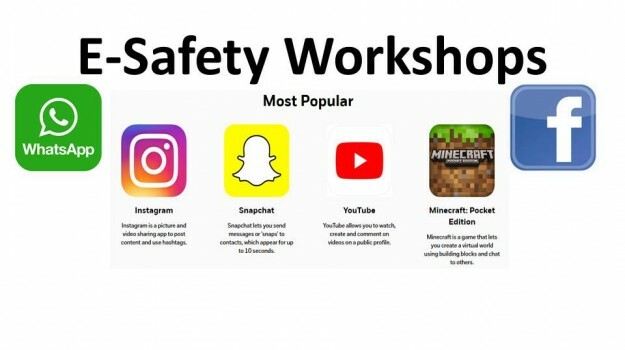 Our first session last year covered the legal stance on age groups using the internet and an introductory discussion, please click on this E-Safety link to view the presentation.